What are we killing to improve our lives? Singapore is a fast-paced urban country with a population of 5.47 million. With an existing land area of only 581.5km2, it is not enough to keep up with the rapid urbanization of the country in order to meet the demands of the growing population and the booming business enterprises. 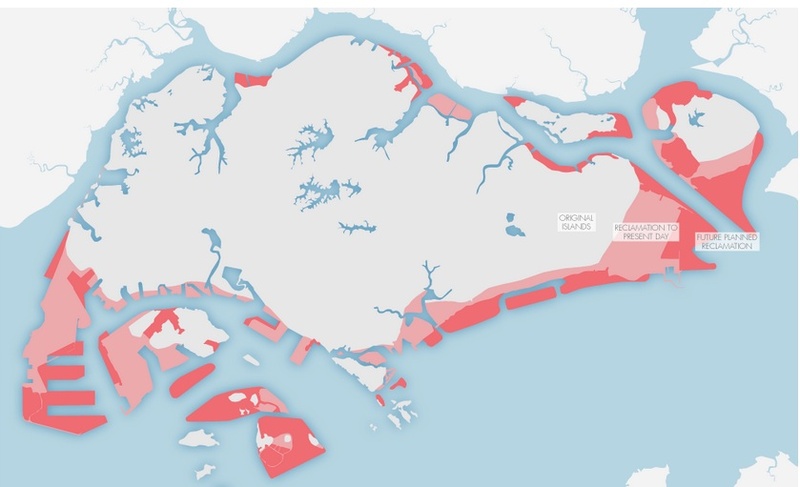 In order to meet these demands, the Singapore government turned to land reclamation in order to make space for her people’s needs. Reclaimed land has created space to build residential areas (e.g. Marine Parade, Punggol), tourist spots (e.g. Marina Bay, Sentosa) as well as industrial spaces (e.g. Jurong Island). The new integrated resorts build on the Marina Bay reclaimed land attracted more tourists to Singapore, further boosting the country’s economy. Although land reclamation benefitted Singapore greatly, there are also detrimental impacts that are present with these current reclaimed lands as well as future land reclamation plans. One of these impacts is the loss of biodiversity in the nearby seabed that is filled with sand to create new land. This blog will look into the various species of plants and sea creatures that were driven out of their habitat or made extinct due to the land reclamation projects of Singapore.